﻿ Carlisle camping and caravan sites. Carlisle - county town of Cumbria. Carlisle is the county town of Cumbria, and is situated in the north of the county, outside the official boundaries of the Lake District National Park. It has a rich history, which can be explored in detail at Carlisle Castle. It is also close to Scotland and Northumberland, making it the ideal place to explore the beauty of the Lake District, Hadrian’s Wall country, and the Scottish Border region. The area around Carlisle provides a good range of camping and caravan sites as well as a great selection of attractions and things to do. Check out the key information on the right and then explore the Carlisle camping and caravanning sites listed below. Cairndale Caravan Park, Carlisle,Cumbria. 01768 896280. Camelot Caravan & Camping Park, Longtown,Carlisle,Cumbria. 01228 791248. Cottage Caravan Park, Carlisle,Cumbria. 01697 351317. Dalston Hall Camping & Caravan Park, Dalston Hall, Dalston, Carlisle, Cumbria. 01228 710165. Dandy Dimont Caravan and Camping Park, Blackford, Carlisle, Cumbria. 01228 674611. Englethwaite Hall Caravan Club Site, Carlisle,Cumbria. 01228 560202. Ghyll Bank Caravan Park, Carlisle,Cumbria. 01228 674254. Green Acres Camping & Caravan Park, Carlisle,Cumbria. 01228 675418. Moat Vale, Carlisle,Cumbria. 01228 577270. Oakbank Lakes Park Camping & Caravan Site, Longtown, Carlisle, Cumbria. 01228 791108. Orton Grange Camping and Caravan Park, Wigton Road, Carlisle, Cumbria. 01228 710252. The Nook Caravan Park, Carlisle,Cumbria. 016974 76017. Throstle Hall Farm, Throstle Hall, Caldbeck, Carlisle, Cumbria. 01694 68618. Clea Hall Holiday Park, Westward, near Carlisle, Cumbria. 01697 342880. Glendale Caravan Park, Port Carlisle,Cumbria. 01697 351317. Horse & Wagon Caravan Park, Alston, near Brampton, Cumbria. 01434 382805. Hudgill Caravan Park, Alston, near Brampton, Cumbria. 01434 381731. Irthing Vale Caravan Park, Brampton,Cumbria. 01697 73600. Attractions: As the county town, Carlisle has the full range of shops, pubs and restaurants. The magnificent Carlisle Castle offers a fun day out for all the family, and the beautiful Carlisle Cathedral. Its location makes it a great place from which to explore the Lake District, but also the south of Scotland, and east into Northumberland and Hadrian’s Wall country. 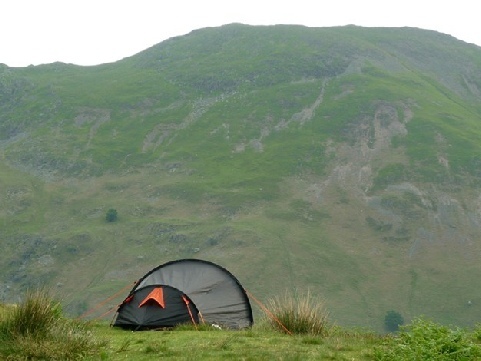 Carlisle camping and campsites and caravan parks around Carlisle, in Cumbria.